Above counter white ceramic square vessel. Premium white glaze for a glossy finish. Kiln dried ceramic construction. High-quality ceramic cartridge. Double fired and glazed for durability and stain resistance. All mounting hardware and hot/cold waterlines are included. Constructed with lead-free brass ensuring durability. 1.75-in. standard US drain opening. 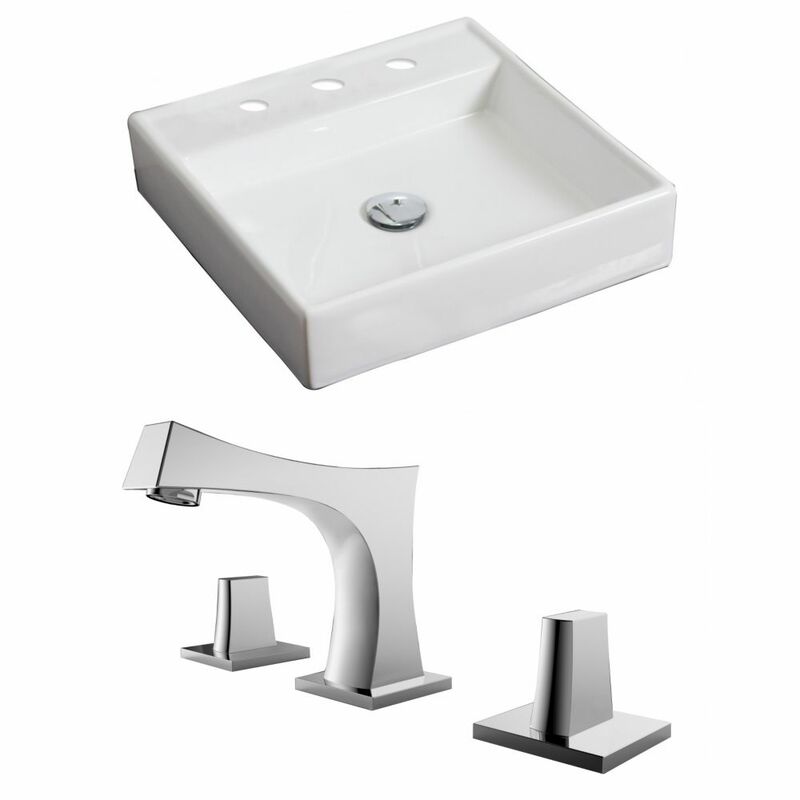 Recommended drain for this sink is 871211017961.. Faucet features a luxury bulky solid brass look and feel. Quality control approved in Canada and re-inspected prior to shipping your order.